In California, the solar power industry is having a field day. For the second time in as many years, the largest electricity grid in the state broke its own solar generation record with 8,030 megawatts (MW) output at 1:06pm local time July 12, 2016. California Independent System Operator (CAISO) reports that is the equivalent of the power consumed by 2 million households. But, ironically, the solar energy generation record doesn’t actually include rooftop solar installations. This new record was met solely with utility-scale solar power. Last week’s record high solar energy generation beats the 2015 record by about 2,000 MW, and is double the high mark reached in 2014. 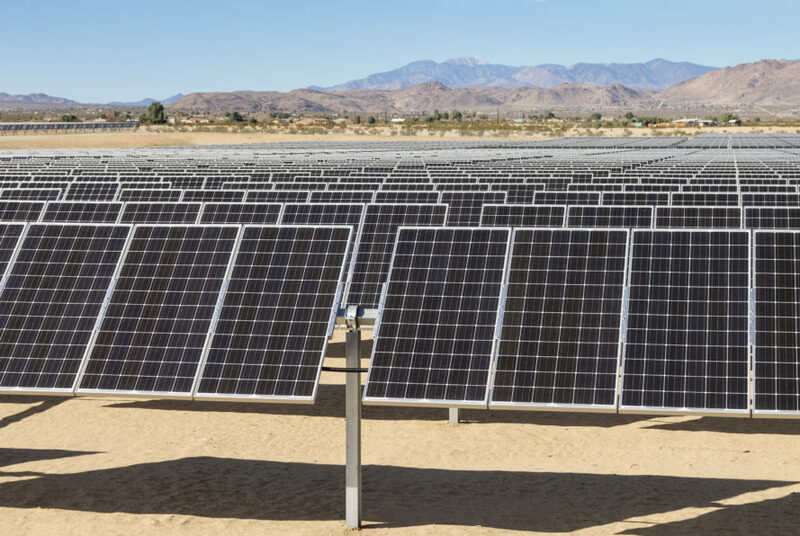 The series of record-breaking highs are indicative of the massive growth of utility-scale solar power in California, as well as its massive number of sunny days. Because of that, CAISO expects the record to be broken time and time again in the months and years to come. While CAISO is California’s largest electric utility, it only accounts for around 80 percent of the state’s power grid. CAISO includes the jurisdictions under Pacific Gas and Electric, Southern California Edison, and San Diego Gas and Electric. Smaller municipal utilities like Sacramento Municipal Utility District aren’t included in CAISO’s figures, so the overall solar energy generation for the state is even higher than reported. Interestingly, the peak in solar energy generation is still far off from the state’s electricity demands, reports CleanTechnica.com. Utility-scale solar and other renewables make up approximately “29 percent of the network’s electricity needs,” which “wasn’t even close to the percentage record set earlier this year.” Renewable energy (produced by utility-scale operations) met as much as 54 percent and 56 percent of CAISO’s electricity needs on May 14 and May 15, respectively, although only for portions of each day. Essentially, while the records in energy generation are exciting, there is still a long way to go before California’s clean energy can edge out fossil fuels. California's largest electricity grid utility reports solar energy generation beat its previous record last week, hitting a whopping 8,030 megawatts.